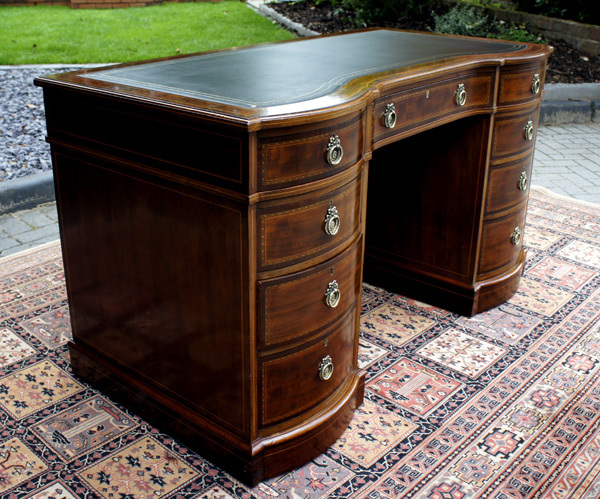 This attractive antique pedestal desk has beautifully figured mahogany timbers inlaid with box wood and ebony checkered banding and boxwood stringing. 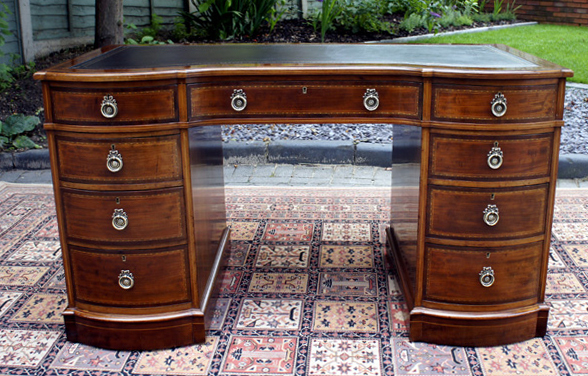 Constructed to a very high standard it retains the original finish and had been cleaned and wax polished. The top section has been fitted with three drawers with mahogany linings and the original ornate cast brass handles. box wood and ebony checkered banding and boxwood stringing. and the original ornate cast brass handles. The pedestals have also been fitted with 3 similar drawers. The top has a replacement new black hide writing surface with blind and gilt tooling. The desk has a break-front outline and has bow front pedestals to either side of a central drawer with concave ends. the top and two pedestal, which separate for ease of movement and installation. 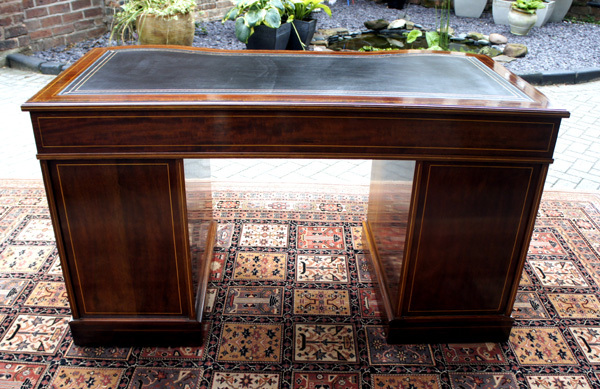 This very attractive antique desk has been polished all round so can be used as a free-standing piece facing into a room if required. 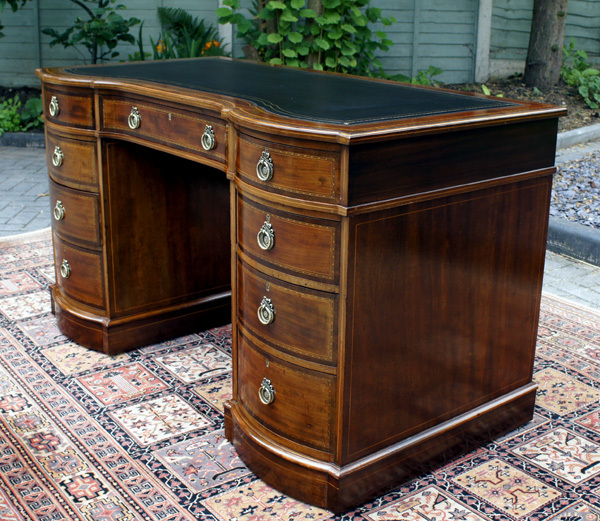 It is a lovely desk and would make a very good focal point for a traditional or contemporary office.